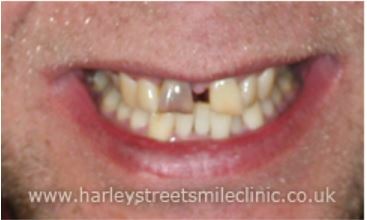 For those who are considering cosmetic dentistry, Chelmsford is a pretty ideal place to be situated. Sitting within the London commuter belt, access to the capital’s many practices from the city is pretty easy! 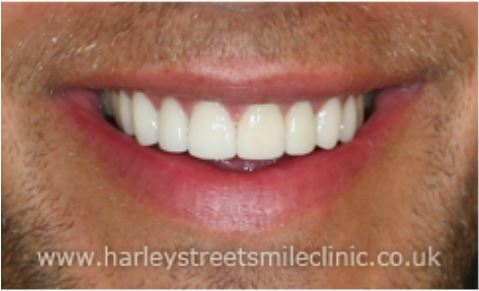 Harley Street has been well known as an area populated by medical specialists for hundreds of years, so if you’re interested in finding a practice that can perfectly enhance your smile, you should definitely make it your destination. 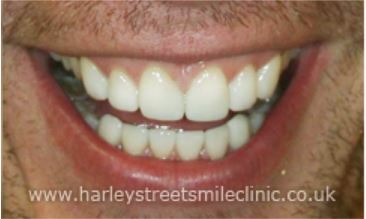 Whether you’re interested in a set of braces or a couple of porcelain veneers, Chelmsford is just over an hour’s drive from a dental practice that provides the very best of these treatments. 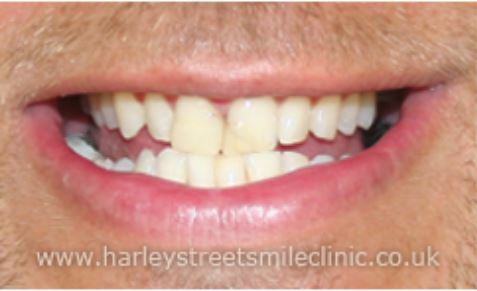 Harley St Smile is home to highly rated specialists who have worked with many big names – such as numerous members of the cast of The Only Way Is Essex – to help create their perfect smile and help them look their very best. If your teeth overlap, have large gaps between them or seem to lean in one direction, choosing braces or clear aligners such as the kinds available from InvisalignTM can allow your teeth to be gradually moved to a better position. 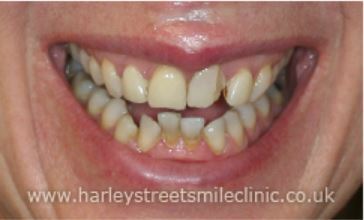 Many people dislike the colour of their teeth, but many cases of staining can be resolved through laser or chemical whitening. 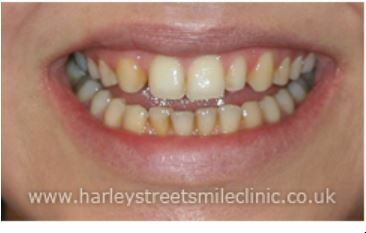 If you’d like your teeth to be more uniform and symmetrical, but some are longer than others or a very different shape, a delicate and exceptionally accurate laser can be used to reshape them to perfection. 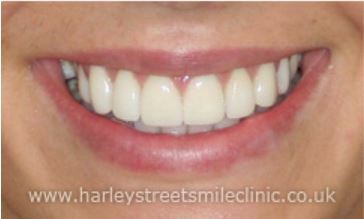 You can also adjust your gumline so that less tissue shows and you have a whiter, less “gummy” grin. 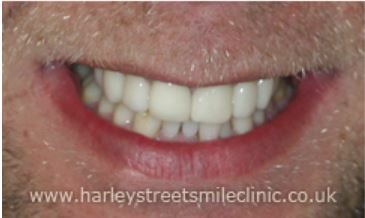 Other ways of correcting discoloured, uneven or “gappy” teeth is through the use of veneers, which are thin but sturdy shells – usually made from porcelain – that are applied to the outer surfaces of the teeth. 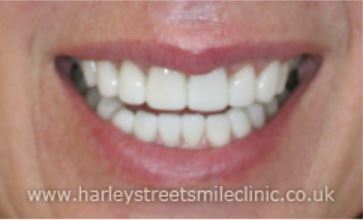 They can be shaped however you wish and their colour can be adjusted to match that of your natural smile. 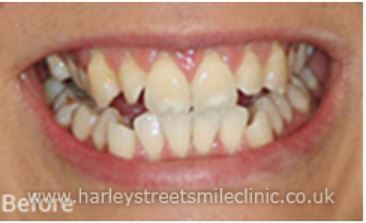 Crowns are similar, but are usually applied to badly damaged or broken teeth. 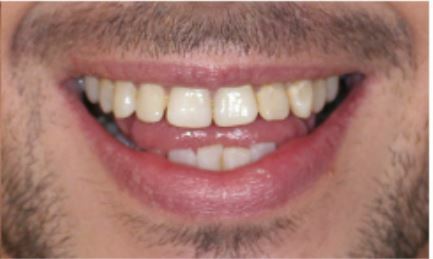 The remaining material acts as an “anchor” for a new tooth – again, usually crafted from ceramic material – which is then placed over it like a cap to fill the gap created by the missing sections of natural tooth. 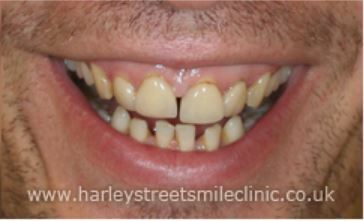 Also usually ceramic, a bridge is used for a similar purpose to a crown, except that the teeth on either side of the affected area are used as the “anchor” to which the new tooth or tooth cap is fixed. Implants, on the other hand, are affixed directly to the jawbone using a titanium “root” to sit in the place of a tooth that is completely missing. 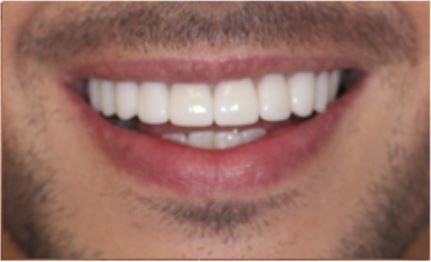 Once again, the new synthetic tooth is usually ceramic. 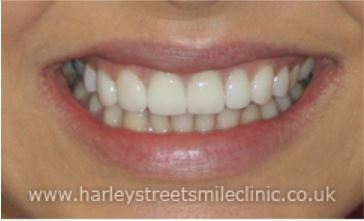 If you feel that any of the above procedures are of interest to you, simply call Harley St Smile today on 020 7486 6777.